Late last week, I got news that “Il paese della giovinezza” (The Country of the Young) was about to be published. 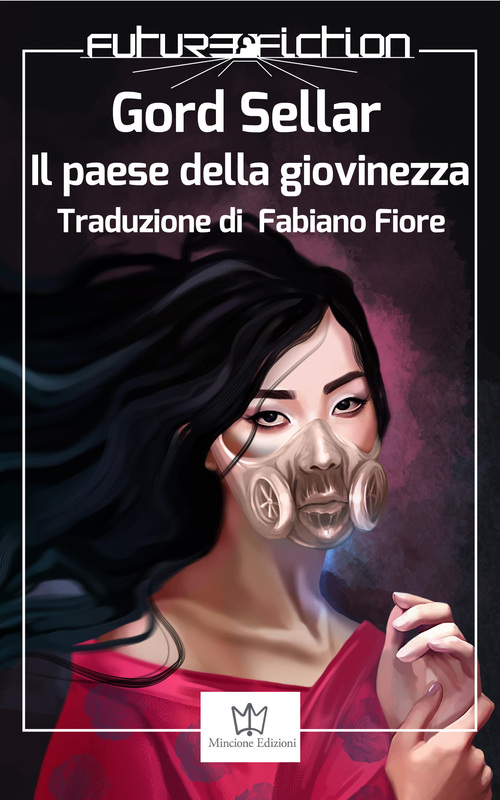 It’s an ebook collection of some of my SF stories in Italian translation, which is very exciting! The cover art shows the protagonist in the title story, and was created by Chiara Topo, of the Scuola Internazionale di Comics di Roma—it’s a very effective and creepy evocation of the anti-aging treatment in the story, juxtaposed with the toxic dust that permeates the story’s setting. The translation was by Fabiano Fiore, who deserves an award for finding a way to express in Italian all the craziness in “Sarging Rasmussen” alone. You can buy the ebook at Amazon’s Italian site, and read more about it at the Future Fiction website. I hope Italy’s SF fans enjoy it, and would like to thank everyone involved for making this happen! Thanks! More news on the translation front coming soon!